The company’s local division still expects to be profitable before 2020. THE IRISH WING of drinks giant Molson Coors recorded mounting losses last year despite a massive spike in turnover. Molson Coors, a global drinks firm headquartered in North America, owns several well-known beer brands, including Miller, Blue Moon and Carling. The latest accounts for the US brewer’s local operation show that the company made a loss of just over €4 million last year. Since the Irish division was incorporated in 2012, losses at the firm have progressively risen. Molson Coors bought the Cork-based Franciscan Well brewery in early 2013. During the 12 months up to the end December 2015, Molson Coors made a loss of roughly €2.4 million, while it also lost €500,000 in 2014. According to the latest accounts, Molson Coors has net liabilities of €10.7 million and will continue to receive financial support from its UK parent. The directors’ report noted that the company is expected to become profitable within the next two financial years. Last year, Molson Coors took control of the Miller brand outside the US from its former joint venture partner SABMiller. A spokesman for Molson Coors told Fora that the loss in 2016 was related to investments made by the firm to grow the business. 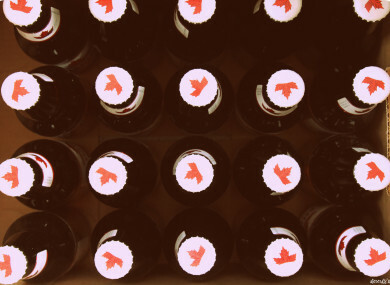 The further plunge into the red came as the firm recorded a spike in turnover following a restructuring of Molson Coors’ Irish and UK operations. During 2016, turnover at the Irish operation jumped from roughly €2.6 million to more than €20 million. The headcount at the firm also increased significantly, from an average of six staff to 69 workers last year. The firm’s directors noted that the shift from pub and restaurant alcohol sales to the lower-margin retail trade was a key risk to the company and the drinks industry in general. “Continuation or acceleration of these trends could adversely impact the company’s profitability,” the directors’ report said. Potential changes in licensing, advertising and other laws were also highlighted as issues that could have “a material adverse affect” on the business. Update: This piece has been updated to include a comment from Molson Coors and to remove references to Coors Light, which is owned by Heineken in Ireland. Email “Molson Coors' Irish losses have doubled as pub beer sales dry up”. Feedback on “Molson Coors' Irish losses have doubled as pub beer sales dry up”.